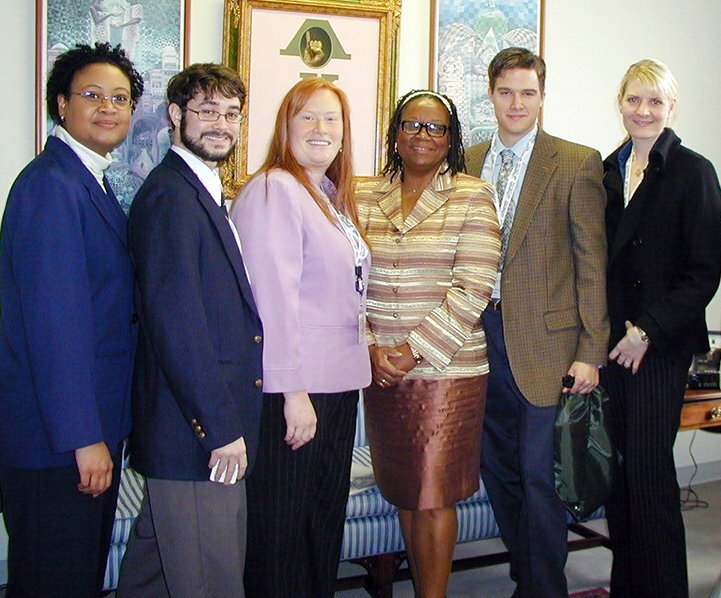 Sen. Mamie Locke is flanked by students who were part of a Thomas Nelson delegation visiting Richmond several years ago. The College is gearing up for its annual Legislative Visit giving students and College leaders the opportunity to meet Virginia lawmakers in Richmond on Wednesday, Feb. 6. An initiative of Virginia's Community Colleges (VCCS), the day-long venture allows students to speak with their senators and delegates to relate how the Thomas Nelson experience impacts their lives. Participants will also see the Commonwealth's legislative process firsthand by visiting House and Senate galleries. The College’s delegation will include Thomas Nelson President John Dever, along with Cabinet and College Board representatives, and several faculty and staff members. Through coordination by Thomas Nelson's Institutional Advancement (IA) office, the College has participated in VCCS legislative visits for more than 15 years. The IA team appreciates those who recommended participants. A list of students' names will be shared with faculty and staff via email when the group departs and again upon its return to campus.